On Wednesday night our newest Salty team member (Gemma! ), listened intently as Despina Macris, Managing Co-Director of Dotdash, presented a snippet of what it is like to be a Wayfinder. Despina held the attention of the AGDA community as she described Dotdash’s creative process, the variety of professions which are employed to work together and the incredible projects her team has worked on. By the end of her presentation, it seemed everyone in the room wanted to adapt their Graphic Design career to become a Wayfinder! To produce wayfinding systems that work well and stand the test of time, a range of professions must work to together; such as Visual communicators, Interior designers, Architects, Industrial designers and Urban planners to name a few. Despina pressed the importance of having a ‘scaffolding education’, which is reflected in the qualifications the team at Dotdash boasts. 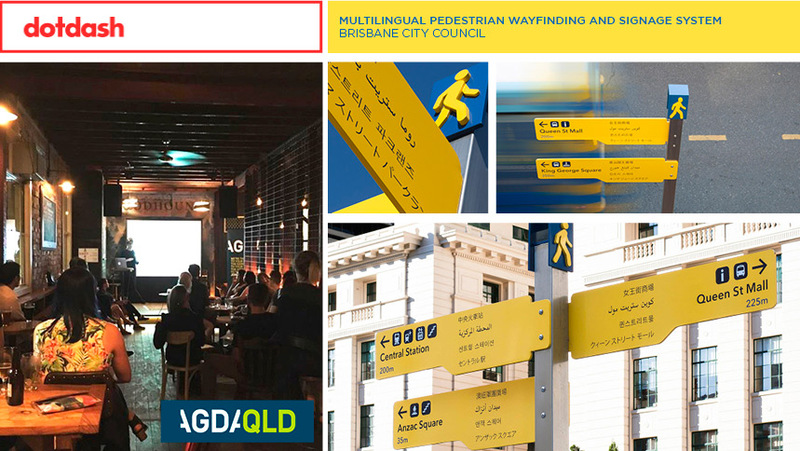 Despina described a wayfinding system that I see on a daily basis, and am sure most Brisbanites would recognise – you know the yellow pedestrian street signs plotted around Brisbane’s inner city? This is a Dotdash award winning project! It is a Multilingual Pedestrian Wayfinding and Signage system produced for the Brisbane City Council. Have you ever noticed there are five different languages on each sign! FIVE! It’s a typographic nightmare, but necessary to help locals and tourists navigate their way around our beautiful city. All Dotdash had to begin with was the already standing street poles, the rest was up to them. With design precision Dotdash produced a system that is clean and understandable at a glance. For everyone who has hopped on a form of transport in Sydney, you would have definitely been directed by the next project Despina spoke about. Dotdash worked with Transport for New South Wales to design the Multi Modal Wayfinding System. On a daily basis millions of people rely on this beautifully designed wayfinding system and train signage to navigate around the HUGE city! Maybe that’s why I don’t get lost when visiting Sydney! One of the longest running projects the team has worked on was Lady Cilento Children’s Hospital, which was 7 years in the making. Despina explained how important it was to get the wayfinding exactly right − especially to enable patients and family to find their way in a short space of time. Wayfinding design plays a part in all our lives, to make our life easier – sometimes without us even realising. Imagine a world without this form of design – it would be a pretty confusing place. AGDA Queensland holds these free, short and sweet speaker events monthly. Keep an eye on their Facebook for upcoming events and follow on Instagram. 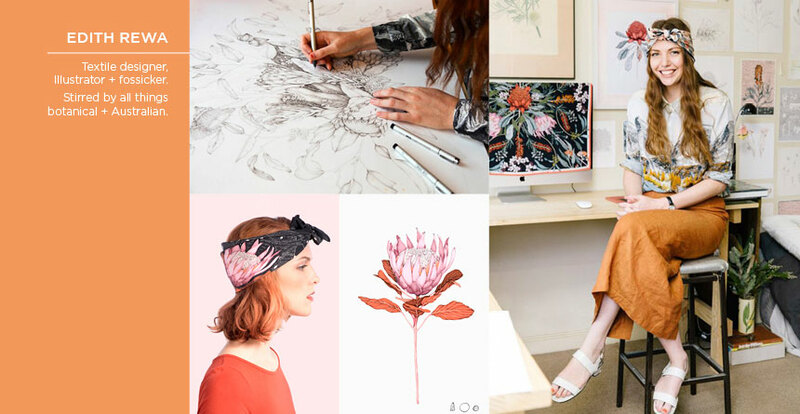 To view a previous presentation by Despina visit The Society for Experiential Graphic Design Chicago 2015. Wayfinding images credited to Dotdash. Event image taken by AGDA Queensland.